Since moving to Germany, I’ve developed a keenly-tuned English-language radar. No snippet – spoken or written – is too small to escape my notice, and I delight when I find them. Along with hunting for moments of my mother tongue, I’m helping create them. I’m involved in several projects exploring different ways to incorporate English (and other languages) into German resources. The work is interesting, thought-provoking, and challenging. 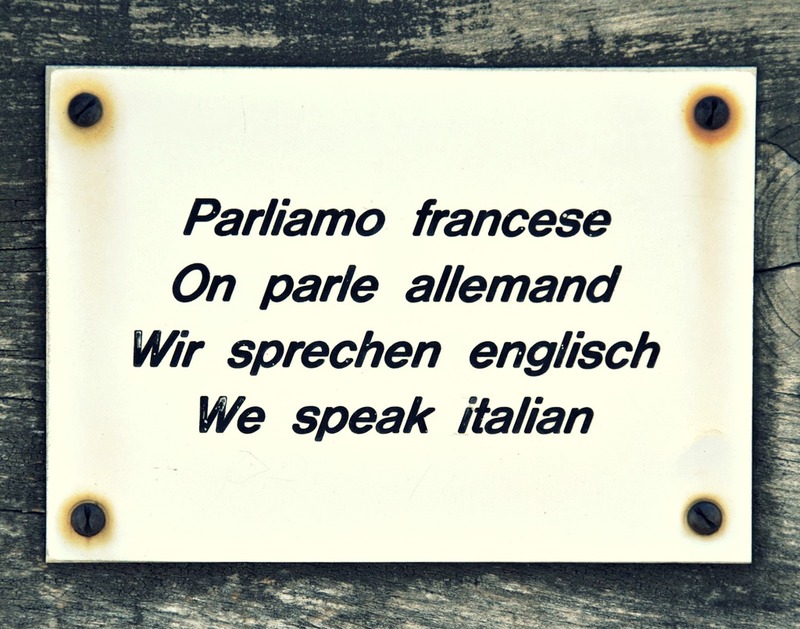 It isn’t just a question of why you include other languages, but also when and how you do it. In museums, answering the why part is easy. From connecting with local communities to encouraging tourism from around the world, good multi-language resources do the same thing. They show visitors that they’re wanted, welcome, and that their experience matters. Figuring out the when and how of becoming a multi-language institution is where it gets tricky, but it’s worth doing. As I work on these projects, I often find myself with more questions than answers and more challenges than solutions. But I do have guidelines that I always refer to. So (with the caveat that this is an evolving list) here are my suggestions for writing multi-language museum labels. First, identify who your current audience is. How many of your visitors are local and how many are tourists? What languages do they speak? What languages are they using in your museum? What languages are they comfortable learning in? Second, identify who your current audience isn’t. Why are some locals and tourists not visiting your museum? What languages do they speak? What languages do they like being spoken to in? What languages might exclude them? Is language currently a barrier keeping them away? Compare these lists. Is your current audience the one you’re trying to reach? Does it make sense for you to expand the number of languages included in your museum? How could changing your language options change your visitor demographics, and what would that mean for your museum? You want your museum to be multi-lingual. Excellent! How much time, money, and other resources can you devote to making it happen? Are you a staff of one or one hundred? What other projects are you committed to in the short- and long-term? How much room is there in your budget – enough to an entire exhibit, or only manage a gallery guide? Every organization’s resources and abilities will be different; recognize what yours are. I’ve seen two museums abandon language projects in the past because they tried to more than they could handle. Work in phases, or start small and let visitor and community feedback inform your next steps. Being realistic about your organization will help keep you from setting yourself up for failure. When you incorporate other languages into your museum, you’re not just adding words. You’re adding cultures, countries, histories, and traditions. From the beginning, it’s important to involve the communities who have ownership of those languages. Agency in interpretation and presentation matters with words as much as it does with objects and artifacts. Identifying potential stakeholders and building those relationships takes time, but its a necessary step. This creates community investment, and helps ensure that languages are presented (and are representing communities) appropriately. So go out into those communities and begin having conversations. What can you learn about, and from, one another? What can they give you, and what can you give them? What spaces for collaboration can you identify? What spaces for collaboration can you create? What are your physical limitations to including multi-language resources? Realistically, how many labels can fit comfortably into a space without becoming too many? Spatial limitations may require you to be creative about the frequency of languages. Will you have every label in two (or three, etc.) languages? Every label in your community’s primary language plus gallery guides in other languages? What’s the correct distribution for your audience and your museum? Stay tuned for the following installments, where we’ll look at language forms, visual cues, and much more! What suggestions do you have for beginning the process of including additional languages into museum experiences?